Marni - Francesco Risso draws inspiration from the beauty of the handmade for Marni's SS19 collection, resulting in pieces with an artisanal quality such as this gold-tone metal necklace. 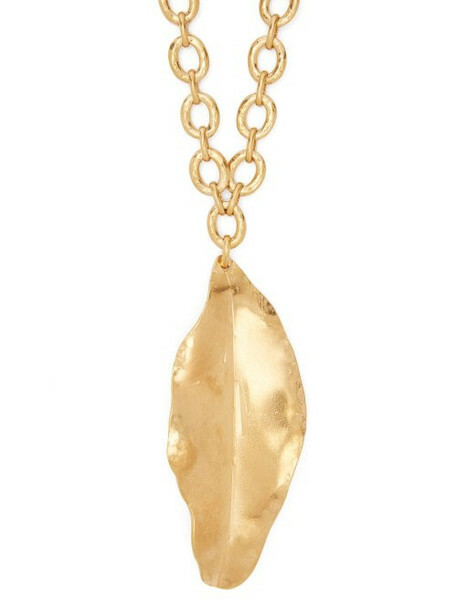 Made in Italy, it's crafted with a chunky chain and spotlights a large leaf pendant with hammered edges to emulate the textures of the natural world. Wear it over the blank canvas of a poplin shirt for a statement finish.